What are the negative effects of too much alcohol? What is alcohol's effect on weight? Does alcohol cause nutritional deficiencies? Do beverages with artificial sweeteners react with alcohol? How much alcohol can you safely consume? Alcohol is a part of many social occasions, from family dinners to parties, to sporting events and nightcaps. The problems associated with alcoholism are well known, but what about the impact of social drinking or a moderate intake of alcohol? Does alcohol belong in our diet, or does the risk that it presents outweigh any benefits that may be derived from consuming it? The truth is that no one needs alcohol to live, so regardless of what you've heard or want to believe, alcohol is not essential in our diets. We consume alcohol to relax, socialize, and/or celebrate. Depending on your health, age, and the amount that you consume there may be some added health benefits, but the negative consequences when consumed in excess far outweigh these benefits. Many believe that as long as they are not an alcoholic they are not at risk for any health problems. This may or may not be the case depending on many factors. If you want to be able to drink and gain any benefits that exist, while avoiding any of the negative consequences, you need to understand alcohol and learn about the research and guidelines for safely consuming it in moderation. Good nutrition can help to improve your health and prevent diseases. The essential nutrients that your body needs are carbohydrates, protein, fat, vitamins, minerals, and water. The term "essential" means that if you remove one of these nutrients from your diet, there will be a deficiency that causes health problems. Alcohol would not fall under the category of an essential nutrient because not having it in your diet does not lead to any sort of deficiency. Alcoholic beverages primarily consist of water, alcohol (ethanol), and different amounts of sugar. The calories come from the alcohol and sugar and are considered "empty calories" because of the lack of the other essential nutrients. It's something that you may choose to add to your diet, but it's not something that you need in it. Alcohol is actually classified as a drug and is a known depressant. Under this category, it is the most widely used drug in the world. According to the National Institute of Alcohol Abuse and Alcoholism (NIAAA), in the United States, 17.6 million people -- about one in every 12 adults -- abuse alcohol or are alcohol-dependent. The majority of the population consumes alcohol moderately or occasionally. You do not need to be an alcoholic for alcohol to interfere with your health and life. The potential to become addicted to alcohol is a serious problem that can affect anyone. Alcohol, also known as ethanol, is made through a process called fermentation. During fermentation, yeast breaks sugar down into ethanol and carbon dioxide. This process is done without any air present and once complete, the carbon dioxide gas bubbles out into the air, leaving ethanol and water behind. Distilled spirits, such as vodka, rum, gin, and whiskey, are fermented and then distilled to separate the ethanol from the water. Various sources of sugar are used in these processes, resulting in different forms of alcohol. 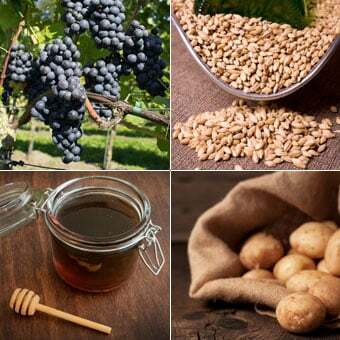 The sugar from crushed grapes is used to make wine; malted barley is used to make beer; sugar cane or molasses makes rum; grain, potatoes, beets, molasses, and a variety of other plants are used to make vodka. The technique used to make the beverage will determine the alcohol content. You will see the percentage of alcohol per volume listed on the bottle, as well as the proof of the drink. The proof of a beverage is twice the alcohol content, so a drink with 12% alcohol per volume is 24 proof. Generally, a 12-ounce glass of beer, a 5-ounce glass of wine, and a 1.5-ounce shot of liquor all contain a ½ ounce of pure alcohol and are considered one drink. Have you ever wondered why you feel the way that you do after drinking alcohol? The effects that alcohol has on your health start with how it's metabolized. Once alcohol is in your system, your body makes metabolizing it a priority. That means that it will stop metabolizing anything else in order to take care of the alcohol. This happens because unlike protein, carbohydrates, and fat, there is nowhere for alcohol to be stored in our body. Once alcohol enters your stomach, up to 20% of it can be absorbed there and go directly into your bloodstream. 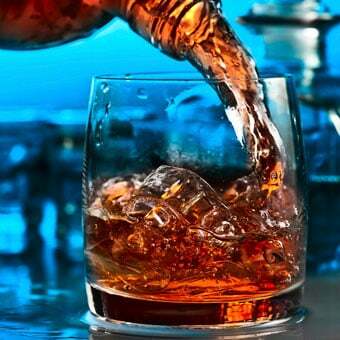 Within minutes, alcohol will reach your brain and give the feeling of being a stimulant. No other food or beverage in your diet is able to do this. The remaining alcohol goes to your intestines and is absorbed there with the rest of the nutrients. A small amount of alcohol is excreted through sweat, saliva, urine, and your breath, which is how it is detected by a Breathalyzer. Your liver is the primary site for alcohol metabolism; this is why you can have liver problems from consuming too much alcohol. Alcohol is detoxified and removed from the blood through a process called oxidation. Oxidation prevents the alcohol from accumulating and destroying cells and organs. A healthy liver oxidizes pure ethanol at the rate of about ¼ to ⅓ of an ounce per hour, which is less than 1 ounce of hard liquor. Having one standard drink will result in a peak in BAC within 35 to 45 minutes. A 150-pound person with normal liver function metabolizes about 7 to 14 grams of alcohol per hour, which is approximately 100 to 200 mg/kg of body weight per hour. This is comparable to 8 to 12 ounces of beer or half of an alcoholic drink. Controlling the rate of consumption will give your liver time to metabolize the alcohol and limit your BAC. Once you stop drinking, your blood alcohol level decreases by about 0.01% per hour. You are legally intoxicated with a blood alcohol concentration of 0.8. Time is the only way to eliminate alcohol from your system, so cold showers and coffee will not sober you up. Trying to get someone who is drunk to feel and appear more alert can cause a false sense of sobriety to the person drinking and everyone around them. Anyone who has ever experienced a hangover would agree that alcohol use doesn't always feel good. Unfortunately, most forget how bad it was and find themselves with a hangover more than once. The dangers can go far beyond that and do not only apply to those who drink excessive amounts. Long-term alcohol consumption can cause problems related to your brain, liver (cirrhosis, steatosis, alcoholic hepatitis, fibrosis), heart (high blood pressure, cardiomyopathy, arrhythmias, stroke), pancreas (pancreatitis), and immune system. It can also put you at risk for certain cancers, including those of the mouth, esophagus, throat, breast, and liver. It can cause fetal alcohol syndrome in the infant when consumed by pregnant women. There is no known safe level for alcohol consumption in pregnant and lactating women. nearly 88,000 people (approximately 62,000 men and 26,000 women) die from alcohol-related causes annually, making it the third leading preventable cause of death in the United States. In 2013, alcohol-impaired driving fatalities accounted for 10,076 deaths (30.8 percent of overall driving fatalities) in the U.S.
Are you guaranteed to gain weight by consuming alcohol? No. Does this mean that it has no impact on your weight? No. Weight gain comes down to taking in more calories than your body needs. When you consume alcohol, you are consuming calories. When those calories take you above the level that your body needs, you gain weight. Along with the calories, there may be even more ways that alcohol can lead to weight gain. Research has shown both a positive and negative association between alcohol consumption and weight or BMI. Heavy drinking and binge drinking appear to be most likely to contribute to weight gain while light to moderate intake does not appear to be related. The studies vary in how they define each of these categories, and people are not always accurate about what they report. When it comes to your weight, it will come down to total calories consumed. In food, one gram of protein has 4 kcal; one gram of carbohydrates has 4 kcal; and one gram of fat has 9 kcal. With alcohol, one gram has 7 kcal. This can add up very quickly, especially with mixed drinks. The next time you reach for a cocktail before your meal, consider if it's worth the weight that you could be gaining from it. Research has shown a 20% increase in calories consumed at a meal when alcohol was consumed before the meal. There was a total caloric increase of 33% when the calories from the alcohol were added. Along with the increase in weight, you can have an increased risk to your health because of where you gain the weight. A study of over 3,000 people showed that consuming elevated amounts of alcohol is associated with abdominal obesity in men. Many people joke about this being a "beer belly." 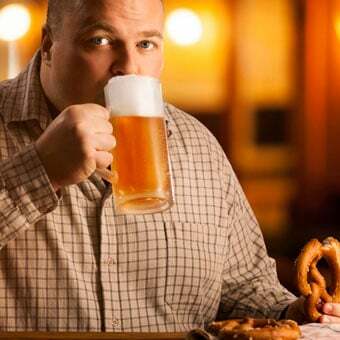 Unfortunately, a "beer belly" puts you at an increased risk for type 2 diabetes, elevated blood lipids, hypertension, and cardiovascular disease. The late-night munchies are often associated with a night of drinking. Have you ever realized that any time that you drink alcohol you are hungrier or you end up eating more than usual? Studies have shown that in the short term, alcohol consumption stimulates food intake and can also increase feelings of hunger. Having your judgment impaired and stimulating your appetite is a recipe for failure if you are trying to follow a weight-control plan. The form that alcohol comes in can also be part of the reason why you can gain weight from drinking. This applies to all liquids that contain calories. Research has shown that liquid calories are different than calories consumed from food when it comes to our weight. Imagine eating three to four oranges versus drinking an 8 oz glass of orange juice. The oranges take longer to consume because you need the time to chew, and you may also enjoy the taste and feel more than with drinking the juice, all of which can lead to feeling more satisfied with the food and more aware of the calories being consumed. Being aware of the calories can then lead you to cut back later on in the day, a practice known as leading to what is called dietary compensation. One study compared the effects of ~450 kcal from jelly beans versus juice on total caloric intake. They found that people tended to cut back on calories during the day when they had jelly beans, but not when they drank the juice. Have one nonalcoholic drink in between each alcoholic drink. Select light versions whenever possible. "Light" means fewer calories, but these products are not calorie- or alcohol-free, so you will still need to limit your intake. Always have food in your stomach before you have a drink. Keep water available to quench your thirst while you drink alcoholic beverages. The sugar in our blood, also known as blood glucose, is used for growth and energy. Blood glucose comes from the foods that we eat, the breakdown of the glucose stored in our muscles (glycogen), and it can also be made from other nutrients in the body. 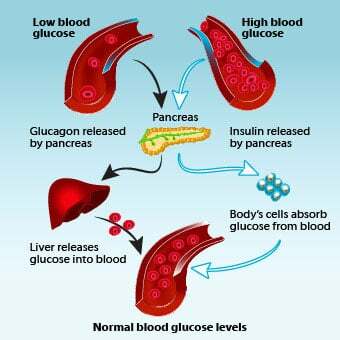 The primary hormones involved in maintaining a healthy blood glucose level are insulin and glucagon. Normally, when your blood sugar begins to drop, your body can respond by making more blood sugar or burning up stored sugar. And when your blood sugar begins to rise, additional insulin is secreted to bring your levels back to a healthy range. Alcohol is considered a poison by your body, and all efforts are made to excrete it, including the cessation of maintaining healthy blood glucose levels. Studies have shown that alcohol interferes with all three sources of glucose and the hormones needed to maintain healthy blood glucose levels. The greatest impact is seen in those who drink heavily on a frequent basis. Heavy drinkers deplete their glycogen stores within a few hours when their diet does not provide a sufficient amount of carbohydrates. Over time, excessive alcohol consumption can decrease insulin's effectiveness, resulting in high blood sugar levels. One study showed that 45%-70% of people with alcoholic liver disease had either glucose intolerance or diabetes. Alcohol can also negatively impact blood sugar levels each time that it is consumed, regardless of the frequency of consumption. Research has shown that acute consumption increases insulin secretion, causing low blood sugar (hypoglycemia), and can also impair the hormonal response that would normally rectify the low blood sugar. Drinking as little as 2 ounces of alcohol on an empty stomach can lead to very low blood sugar levels. This makes alcohol an even bigger problem for anyone with diabetes. Along with the impact on blood sugar, studies have also shown that alcohol can impact the effectiveness of the hypoglycemic medications, so extreme caution needs to be taken when consuming alcohol by anyone with diabetes. There is also an increased risk of problems when combining exercise and alcohol. It is not uncommon for people to go out for a drink after playing sports (for example, hockey, soccer, tennis) or to consume some alcoholic beverages while playing. Your blood sugar levels naturally drop during exercise, and your body is working on replacing your glycogen stores once you are finished. Consuming alcohol during this time will halt this process and can cause blood sugar levels to stay at an unhealthy level. Alcohol can wreak havoc on a system that is in place for your health and well-being. Excessively low or high blood sugar levels have long-term consequences. If you choose to consume alcohol, here are some tips to help avoid this problem. Start with nonalcoholic beverages to satisfy your thirst and continue to have one available while you consume alcohol. Limit the amount that you drink. You can make a drink last longer and lower the impact that it will have on your blood sugars by having a wine spritzer. If you have diabetes, speak with your physician about how alcohol will affect your medication(s). Consume beverages without alcohol during and after exercise. When alcohol replaces foods in a person's diet, the decreased intake of nutrients can cause primary malnutrition. Consuming too little of any of the essential nutrients (protein, carbohydrates, fats, vitamins, and/or minerals) can lead to deficiencies and health problems. Deficiencies can also occur because alcohol and its metabolism prevent the body from properly absorbing, digesting, and using the essential nutrients in your body. Unfortunately, deficiency signs only occur in when your body is extremely depleted so by the time you find out about the deficiency, you are already suffering the health consequences. The following are common deficiencies brought on by alcohol consumption. Vitamin B1 is found in many foods, including cereal grains, beans, nuts, yeast, and meat. In the body, high concentrations are found in skeletal muscles and in the liver, brain, kidney, and heart. In the tissues, thiamine is required for the building and functioning of several enzymes. These enzymes are important for the breakdown of sugar molecules into other types of molecules, production of certain brain chemicals (for example, neurotransmitters), the production of several other essential molecules, and maintaining the body's ability to defend against free radicals. Alcohol rapidly reduces thiamine levels in people who chronically use it. An unbalanced diet and alcohol's impact on absorption, storage, activation, and excretion of thiamine are thought to be the reasons this occurs. Beriberi is the disease caused by vitamin B1 (thiamine) deficiency. The two major types of beriberi are wet and dry beriberi. Wet beriberi affects the cardiovascular system, and dry beriberi affects the nervous system. Early symptoms of thiamine depletion include weakness, fatigue, and emotional disturbance. As this continues, the deficiency leads to beriberi with cardiac failure, neuropathy, or peripheral edema. Wernicke syndrome and Korsakoff syndrome are related disorders that often occur with dry beriberi. Wernicke's syndrome, also known as Wernicke's encephalopathy, is a neurological disease characterized by the clinical triad of confusion, the inability to coordinate voluntary movement (ataxia), and eye (ocular) abnormalities. Korsakoff's syndrome is a mental disorder characterized by disproportionate memory loss in relation to other mental aspects. When these two disorders occur together, the term Wernicke-Korsakoff syndrome is used. Unfortunately, the symptoms are only seen in 16%-20% of patients. For this reason, it is missed in 75%-80% of cases and not detected until after death if an autopsy is done. As long as alcohol consumption continues, it is difficult to know how much thiamine to give to correct the deficiency because the alcohol will continue to interfere with thiamine being properly absorbed and converted to its active form. The recommended dietary allowances (RDA) for thiamine are: men 14 years and older, 1.2 mg, and women over 18 years, 1.1 mg. In people who have or are at risk of thiamine deficiency, 50 milligrams of thiamine may be taken by mouth daily, and in severe cases, doses of 50-100 milligrams of thiamine may be injected into the vein three to four times daily. Consult with your physician if you're at risk and in need of treatment for a deficiency in thiamine. Folate is a B vitamin that has received a great deal of attention for its health benefits. Most notably is the risk of birth defects and cancer with an inadequate intake. Folate helps produce and maintain new cells. It is found in a wide variety of foods, including vegetables (spinach, asparagus, and Brussels sprouts are highest), nuts, beans, peas, fruits and fruit juices, meat (liver is highest), eggs, seafood, yeast, and dairy products. Alcohol interferes with dietary folate intake, folate absorption, transport of folate to necessary tissues, and the storage and release of folate by the liver. Research has shown that even moderate alcohol consumption (8 fluid ounces of wine per day or 2.7 fluid ounces of vodka) over 2 weeks can significantly decrease serum folate concentration in healthy men. In the Nurses' Health Study, women who consumed one alcoholic drink a day or more and had the highest levels of folate in their blood were 90% less likely to develop breast cancer than those who had the lowest levels of it. The RDA for folate for men and women over 18 years old is 400 mcg. A well-balanced diet is typically enough to meet this. There are no clear guidelines for how much folate you need to take if you consume alcohol. One study suggested that 600 micrograms a day of folate could counteract the effect of moderate alcohol consumption on breast cancer risk. High levels can mask B12 deficiency. As long as you continue to consume alcohol, you can alter your levels regardless of how much you are taking. Vitamin B12 is needed to help make DNA, to maintain healthy nerve cells and red blood cells, and for protein metabolism. Low levels can cause a loss of balance, numbness or tingling in the arms and legs, weakness, fatigue, constipation, confusion, depression, poor memory, soreness of the mouth or tongue, weight loss, and a type of anemia known as megaloblastic anemia. It is naturally found in animal products, including seafood, poultry, meat, eggs, and milk products. While plant foods don't generally contain it, most breakfast cereals are fortified with it. Studies have shown that both moderate and heavy alcohol consumption will affect vitamin B12 levels. One study showed a 5% decrease in mean serum vitamin B12 concentrations when consumption of alcohol increased from 0 to 30 grams of alcohol/day. The RDA for vitamin B12 is 2.4 mcg for men and women over 14 years old. A deficiency can be treated with injections when there are issues with being able to properly absorb this vitamin. 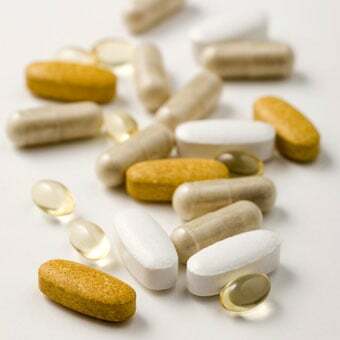 Oral supplements have been shown to be effective with doses starting at 2,000 mcg daily, followed by a decrease to 1,000 mcg daily, then weekly and finally down to monthly. None of this is specifically for alcohol-induced deficiencies. 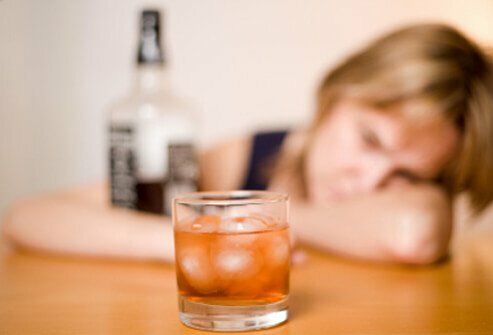 The continued use of alcohol could alter the treatment needed. It's best to consult with your physician if you suspect a deficiency. Vitamin A is one of the four fat-soluble vitamins. It is needed for vision (especially night vision), to regulate the immune system, for bone growth, for reproduction, and for cell division and differentiation. The top food sources in the U.S. diet are fish, fortified cereals, and dairy products. Provitamin A sources are broccoli, carrots, squash, and cantaloupe. The RDA for vitamin A is 900 mcg for men over 18 years old and 700 mcg for women over 18 years old. Alcohol has been found to promote a deficiency of vitamin A and also enhance its toxicity when taken in excessive amounts. Supplementation is not an easy thing because alcohol makes it difficult to detect the deficiency accurately. Because vitamin A is toxic in high doses, taking too much in the form of supplements can be dangerous. If this seems complicated, it is. You may be able to supplement with beta carotene (this is a precursor to vitamin A), but not if you are smoker as this may increase lung cancer risk in smokers. Moderation when consuming alcohol is really the only way to safely address this. Calcium is most well-known for its roles in bone tissue. It is the most abundant mineral in the body with several roles, including blood vessel and muscle contraction and expansion, for the secretion of hormones and enzymes, and for transmission of messages through the nervous system. The richest sources of calcium are milk, yogurt, and cheese. While it is found in kale, broccoli, and Chinese cabbage, the calcium in there is not absorbed as well as it is from dairy foods. Alcohol consumption can cause a loss of calcium in the body by increasing urinary calcium excretion. Calcium deficiency can also lead to osteoporosis. Research shows that continued heavy alcohol use, especially during adolescence and young adult years, can dramatically affect bone health and increases the risk of osteoporosis later in life. The RDA for men aged 19-70 is 1,000 mg and 1,200 mg for 71 and over; the RDA for women aged 19-50 is 1,000 mg and it's 1,200 mg for women aged 51 and over. Continued use of alcohol will continue to impair your calcium levels so supplementation may be beneficial. Protein is made of amino acids. These amino acids help maintain the cell's structure, they transport substances in and out of cells, and act as enzymes. Alcohol can interfere with amino acids being absorbed in the small intestines. In the case of chronic liver failure, protein metabolism is greatly altered and numerous complications can occur (decreased albumin, ascites, and increased risk of hepatic encephalopathy). The pancreas is also affected by chronic alcohol exposure, and impaired secretion of pancreatic enzymes with resulting malabsorption of fat and proteins commences long before other signs of chronic pancreatic damage can be found. Numerous other deficiencies will occur when alcohol replaces nutrients in a balanced diet. The damage to your liver and other organs brought on by chronic, excessive alcohol consumption will cause severe problems that can lead to other vitamin and mineral deficiencies. The long-term consequences of these deficiencies can be life-threatening. Moderation remains the recommendation for alcohol consumption for a reason. 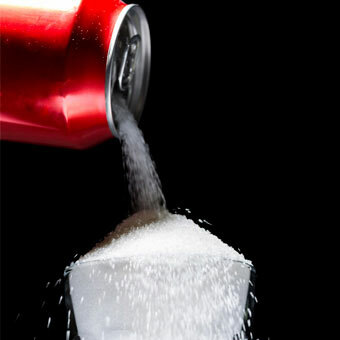 The low-carb-dieting craze has led to an increased consumption of diet beverages being used in mixed alcoholic drinks. Premixed alcoholic drinks were usually made with sugar-sweetened beverages like juice and soda. The presence of sugar was thought to decrease the rapidity with which alcohol would empty from the stomach and get absorbed in the small intestines, but nothing was known about how artificial sweeteners would impact the absorption of alcohol. A recent study examined the difference in blood alcohol levels from drinks containing sweetened (regular) versus artificially sweetened (diet) beverages. This study found a significant difference in blood alcohol levels between the two drinks. In fact, the "diet" beverage produced blood alcohol levels that would be considered illegal for driving in many jurisdictions, while comparable quantities of the "regular" beverage did not. This poses a potentially dangerous situation, and it is clear that there should be separate guidelines for the safe consumption of artificially sweetened alcoholic beverages. no more than seven drinks in a week. Going over the guidelines leaves you at risk for health complications and interferes with any possible health benefits you would gain. Moderation is the key here. Binge drinking and heavy drinking both fall into the dangerous category. The Substance Abuse and Mental Health Services Administration (SAMHSA) defines binge drinking as drinking five or more alcoholic drinks on the same occasion on at least one day in the past 30 days. 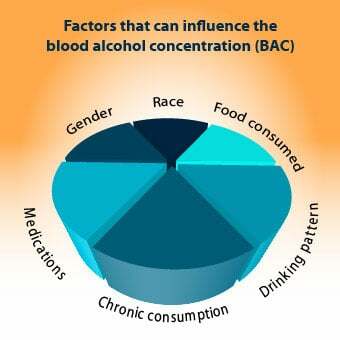 The National Institute on Alcohol Abuse and Alcoholism defines binge drinking as a pattern of drinking that brings blood alcohol concentration (BAC) levels to 0.08 g/dL. This typically occurs after four drinks for women and five drinks for men -- in about two hours. SAMHSA defines heavy drinking as drinking five or more drinks on the same occasion on each of five or more days in the past 30 days. The reason that people consume alcohol is clear, but the cost of this consumption is not. Alcohol is toxic to our bodies, and the cost can be irreversible when intake exceeds recommended levels. The damage is not limited to alcoholics, so everyone who consumes alcohol needs to pay attention to how much they are drinking, what they are drinking, and when they are doing so. Cassady, B.A. 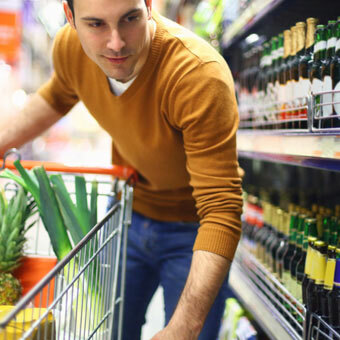 "Beverage Consumption, Appetite, and Energy Intake: What Did You Expect?" Am J Clin Nutr. 95.3 Mar. 2012: 587-593. Caton, S.J. "Acute Effects of an Alcoholic Drink on Food Intake: Aperitif Versus Co-ingestion." Physiol Behav. 90(2-3) Feb. 28, 2007: 368-375. DiMeglio, D.P. "Liquid Versus Solid Carbohydrate: Effects on Food Intake and Body Weight." Int J Obes Relat Metab Disord. 24.6 June 2000: 794-800. Goralczyk, R. "Beta-Carotene and Lung Cancer in Smokers: Review of Hypotheses and Status of Research." Nutr Cancer. 61.6 (2009): 767-774. Halsted, C.H. "Metabolic Interactions of Alcohol and Folate." J Nutr. 132(8 Suppl) Aug. 2002: 2367S-2372S. Latt, N. "Thiamine in the Treatment of Wernicke Encephalopathy in Patients With Alcohol Use Disorders." Intern Med J. 44.9 Sept. 2014: 911-915. Laufer, E.M. "Effects of Moderate Alcohol Consumption on Folate and Vitamin B(12) Status in Postmenopausal Women." Eur J Clin Nutr. 58.11 Nov. 2004: 1518-1524. Poppitt, S.D. "Beverage Consumption: Are Alcoholic and Sugary Drinks Tipping the Balance Towards Overweight and Obesity?" Nutrients. 7.8 Aug. 11, 2015: 6700-6718. Singleton, C.K. "Molecular Mechanisms of Thiamine Utilization." Curr Mol Med. 1.2 May 2001: 197-207. Stermer, E. "Alcohol Consumption and the Gastrointestinal Tract." Isr Med Assoc J. 4.3 Mar. 2002: 200-202. Stickel, F. "Review Article: Nutritional Therapy in Alcoholic Liver Disease." Aliment Pharmacol Ther. 18.4 Aug. 15, 2003: 357-373. Switzerland. World Health Organization. "Global Strategy to Reduce Harmful Use of Alcohol." <http://www.who.int/substance_abuse/activities/gsrhua/en/>. Thomson, A.D. "Mechanisms of Vitamin Deficiency in Chronic Alcohol Misusers and the Development of the Wernicke-Korsakoff Syndrome." Alcohol Suppl. 35.1 May-June 2000: 2-7. Traversy, G. "Alcohol Consumption and Obesity: An Update." Curr Obes Rep. 4.1 (2015): 122-130. United States. National Institute on Alcohol Abuse and Alcoholism. "The Role of Thiamine Deficiency in Alcoholic Brain Disease." July 2004. <http://pubs.niaaa.nih.gov/publications/arh27-2/134-142.htm>. United States. National Institutes of Health, Office of Dietary Supplements. "Folate." Feb. 11, 2016. <https://ods.od.nih.gov/factsheets/Folate-HealthProfessional/>. United States. National Institutes of Health, Office of Dietary Supplements. "Vitamin A." Feb. 11, 2016. <https://ods.od.nih.gov/factsheets/Folate-HealthProfessional/>. United States. National Institutes of Health, Office of Dietary Supplements. "Vitamin B12." Feb. 11, 2016. <https://ods.od.nih.gov/factsheets/Folate-HealthProfessional/>. Wakabayashi, L. "Frequency of Heavy Alcohol Drinking and Risk of Metabolic Syndrome in Middle-Aged Men." Alcohol Clin Exp Res. 38.6 June 2014: 1689-1696. Yeomans, M.R. "Alcohol and Food Intake." Curr Opin Clin Nutr Metab Care. 6.6 Nov. 2003: 639-644. Yeomans, M.R. "Alcohol, Appetite and Energy Balance: Is Alcohol Intake a Risk Factor for Obesity?" Physiol Behav. 100.1 Apr. 26, 2010: 82-89. Yeomans, M.R. "Effects of Alcohol on Food and Energy Intake in Human Subjects: Evidence for Passive and Active Over-consumption of Energy." Br J Nutr. 92 Suppl 1 Aug. 2004: S31-4. Learn about tea, types of teas, and the benefits of drinking tea. Before taking dental medications, it's important to tell your dentist about any drugs, vitamins, OTC products, and herbal products that you're already taking, if you're pregnant, if you have drug allergies or serious health problems. Learn about questions to ask the dentist about your dental medication.